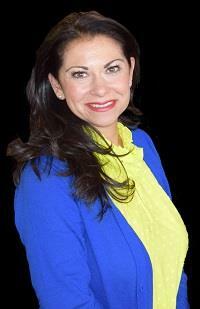 Samantha is a well-established agent who has been in the real estate industry for many years. With a background in interior design, Samantha uses her expertise to help clients stage and market their homes. She knows that preparing a home for sale is one of the key aspects to successfully selling a house, and she provides her clients with that advantage. Samantha has enhanced her real estate skills by obtaining several real estate designations, including the Accredited Buyer's Representative (ABR) and Certified Luxury Specialist certifications. As an ABR, she has completed training specifically designed to work with home buyers, offering these clients a higher level of customer service through enhanced training in all phases of the buying process. Samantha is also a Certified Luxury Specialist, a specially curated program conducted by Christie's International Real Estate, the real estate arm of the renowned Christie's Auction House brand. As a lifelong resident of Bergen County, Samantha's knowledge of the area proves valuable to anyone looking to purchase a home in the area. Samantha enjoys helping each client to find his or her dream home, a process that requires a combination of real estate savvy and the ability to give her clients a feeling of ‘coming home' from the moment they walk through the door. Samantha currently lives in Mahwah and can be found either attending events with her family or getting involved in her local community. .